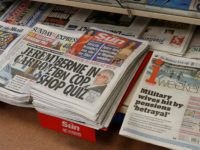 Regional newspaper group Newsquest’s network of 164 local websites attracted 5.1 million unique users and 53.7m page impressions in April, in an ABCe audit to be published later this week. “It’s more than just growing numbers: we have broadened our reach to more local audiences by attracting a younger, more affluent crowd from higher-income households than are typical for newspaper readers,” Newsquest Digital Media managing director Roger Green said in a press release. The figure is up from its May 2007 ABCe figure of 4.5 million unique users and 49 million page impressions. 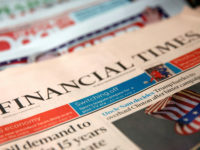 In February, Newsquest’s parent company Gannett said the UK network of sites had attracted 4.8 million monthly unique users in 2007. Without indicating any specifics, Green also indicated that the group plans to unveil enhancements to the sites this summer which will increase interaction in print, online and mobile. One of Newsquest’s titles, the Lancashire Telegraph, has been sending text-message breaking news alerts to mobile phones. Last wee, the paper began charging 10-12p per text message for the TLalerts service, which was initially free. The paper said the “seer popularity” of the SMS service had made the charge necessary.